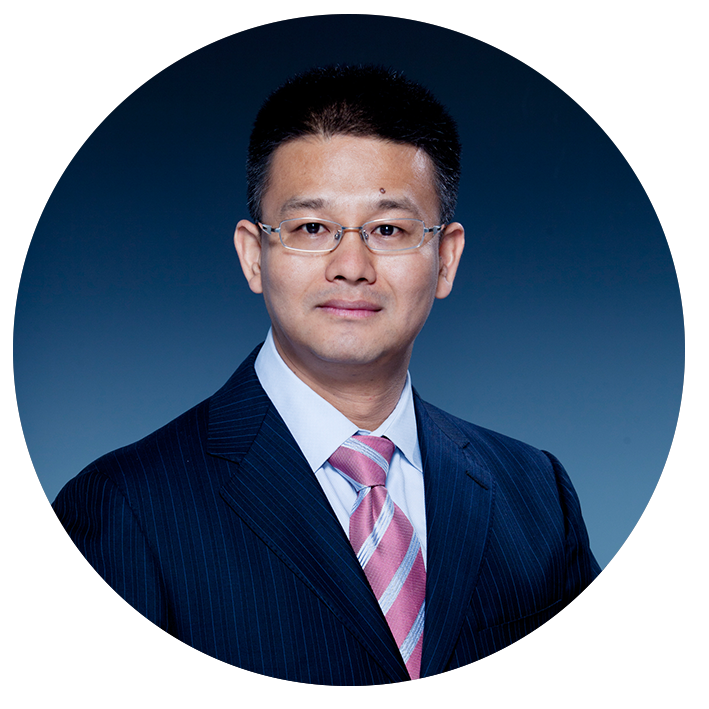 Prof. Chenglong Fu obtained his B.S. from the Department of Mechanical Engineering, Tongji University in 2002 and Ph.D. from the Department of Precision Instruments and Mechanology, Tsinghua University, in 2007. His research interests include dynamic walking, biped and humanoid robots, powered prosthesis, lower limb exoskeleton and human robot interaction. He is the principle investigator of more than 20 research projects, including 4 NSFC, 2 National Key R&D Program of China and 8 national defense projects. He has published more than 60 papers and 2 academic monographs, the most cited paper of him has been cited for more than 110 times, and he holds more than 20 granted patents. He is an Associate Editor and Co-Chair of IEEE-RAS Humanoids 2018. Hao M, Chen K, Fu C*. Smoother-based 3D Foot Trajectory Estimation Using Inertial Sensors. IEEE Transactions on Biomedical Engineering. accepted, 14 March 2019. Liu J, Xiong C, Fu C*. An Ankle Exoskeleton Using Lightweight Motor to Create High Power Assistance for Push-off. ASME Journal of Mechanisms and Robotics. accepted, 16 March 2019. Zhang K, Xiong C, Zhang W, Liu H, Lai D, Rong Y, Fu C*. Environmental Features Recognition for Lower Limb Prostheses Toward Predictive Walking. IEEE Transactions on Neural Systems and Rehabilitation Engineering. doi: 10.1109/TNSRE.2019.2895221, 25 January 2019. Luo J, Su Y, Ruan L, Zhao Y, Kim D, Sentis L, Fu C*. Robust Bipedal Locomotion Based on a Hierarchical Control Structure. Robotica. doi:10.1017/S0263574719000237, 01 March 2019. Zhang L, Fu C*. Predicting Foot Placement for Balance through a Simple Model with Swing Leg Dynamics. Journal of Biomechanics, 77: 155-162, 2018. Wu Y, Wu Z, Fu C*. Continuous Arm Gesture Recognition Based on Natural Features and Logistic Regression. IEEE Sensors Journal, 18(19): 8143-8153, 2018. Gao W, Jia Z, Fu C*. Increase the Feasible Step Region of Biped Robots through Active Vertical Flexion and Extension Motions. Robotica, 35(7): 1541-1561, 2017. Wu Y, Chen K, Fu C*. Effects of Load Connection Form on Efficiency and Kinetics of Biped Walking. ASME Journal of Mechanisms and Robotics, 8(6): 061015-061015-10, 2016. Wu Y, Chen K, Fu C*. Natural Gesture Modeling and Recognition Approach Based on Joint Movements and Arm Orientations. IEEE Sensors Journal, 16(21): 7753-7761, 2016. Fu C*, Wang J, Chen K, Yu Z, Huang Q. A Walking Control Strategy Combining Global Sensory Reflex and Leg Synchronization. Robotica, 34(5): 973-994, 2016. Fu C*, Tan F, Chen K. A Simple Walking Strategy for Biped Walking Based on an Intermittent Sinusoidal Oscillator. Robotica, 28(6): 869-884, 2010. Fu C*, Chen K. Gait Synthesis and Sensory Control of Stair-climbing for a Humanoid Robot. IEEE Transaction on Industrial Electronics, 55(5): 2111-2120, 2008. Bian K, Zhou Y, Wan C, Gao Y, Fu Ao, Fu C, Chen K. Design and Application of an Efficient Scheme for Wafer Transfer Procedure during Ion Implantation Process. International Journal of Advanced Manufacturing Technology, 64(12): 1781-1789, 2013. Tan F, Fu C*, Chen K. Biped Blind Walking on Changing Slope with Reflex Control System. IEEE International Conference on Robotics and Automation (ICRA). Anchorage, Alaska, USA. May 2010. 1709-1714. Fu C*. Perturbation Recovery of Biped Walking by Updating the Footstep. IEEE/RSJ International Conference on Intelligent Robots and Systems (IROS). Chicago, USA. September 2014. 2509-2514. Fu C*, Shuai M, Huang Y, Wang J, Chen K. Parametric Walking Patterns and Optimum Atlases for Underactuated Biped Robots. IEEE/RSJ International Conference on Intelligent Robots and Systems (IROS). Beijing, China. October 2006. 342-347.